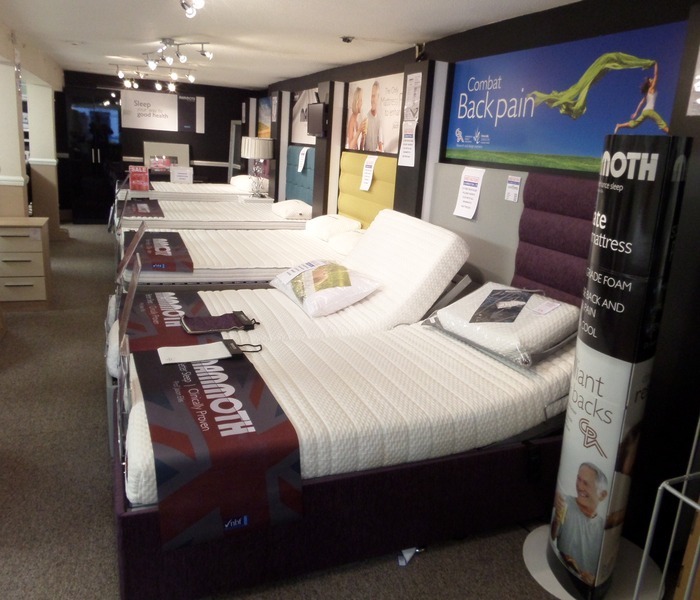 Located at the top of Regent Street in Royal Leamington Spa our Showroom offers a wide variety of beds, mattresses and accessories in a friendly and relaxed environment. Our expert sales advisors have a no pressure approach to every single customer they greet and are always on hand to offer expert advice to help you make the right choices and leave satisfied. He can’t wait to meet you. Buying a new bed is one of the biggest buying decisions you’ll make and a visit to our Showroom will allow you to do this as you’ll be able to try out the huge variety of mattresses and settle on the right style of bed frame at your own leisure. The Bed Factory, Royal Leamington Spa, has been selected as Midland’s Premier Stockists and we are proud to introduce the latest in sleep technology: Sleepeezee BodyScan. This system is used in over 40 countries by aerospace, automotive, medical and sports industries. The BodyScan uses sophisticated technology to identify an individual’s personal support requirements and recommends the three best beds from Sleepeezee’s Pure Collection. With so many mattresses available, finding one that is exactly right for you can be a long and tedious process. Each individual is unique and has different requirements with regards to comfort and support. Considering the average human spends a 1/3 of their life sleeping, it means finding the perfect mattress essential for your body’s health and recovery. This is where the BodyScan comes into the process. Sleepeezee have only selected a small number of stockists for this innovative technology and The Bed Factory Leamington Spa are proud to be one of these. We are the only supplier of the Pure Collection in the Midlands; this exclusivity is ensured by only making the beds available in-store. These sumptuously comfortable beds, as with all of our products, are manufactured to the highest standard, meeting and exceeding all expectations. Another great reason to come and visit us in Royal Leamington Spa. Our exclusive Showroom deals offer you stunning discounts on a variety of items only available to customers in store. You’ll find offers of anything up to 50% Off on selected items plus much, much more. No gimmicks, just genuine money saving offers that make buying the perfect bed or mattress more affordable than ever before. To pre-arrange a consultation simply speak to member of our friendly Sales Team on the phone. © The Bed Factory Ltd . All Rights Reserved.